You're maneuvering a cumbersome rental truck loaded with your most treasured possessions--bulky furniture, delicate glassware, valuable antiques and fragile electronics--hundreds of miles to your new home. What could go wrong? The answer is: plenty. When undertaking a difficult and crucial task like driving a moving truck, it's imperative that you are properly protected. Get more information about common rental truck insurance plans and what you should know before purchasing one. Damage waiver: This typically covers accidental damage to the rental truck and equipment due to accidents, vandalism, and sometimes theft. Personal accident (Medical): Provides medical coverage to the driver (and often passengers) resulting from injury in an accident. Also provides loss of life coverage. Cargo coverage: Offers protection for your goods from loss or damage due to collision or natural disasters. Supplemental liability: Protects you from claims made by third parties for bodily harm or damage to personal property caused by a collision with your rental truck. Towing insurance: Covers damage to any vehicle being towed by your rental truck, as well as the towing equipment. Other drivers?If you plan on taking turns driving the truck with a friend or family member, be sure to inquire about insurance guidelines. There will usually be an extra fee per person to add another driver to the protection plan. Auto insurance won't cover you. if you think your personal auto insurance policy will cover you, think again. 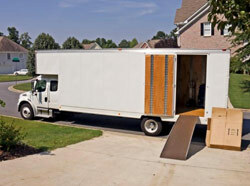 Most car insurance policies will not cover vehicles exceeding 9,000 pounds, including moving trucks. While your credit card insurance will usually cover a rental car, they tend to draw the line on exotic cars and moving vehicles. Cost will vary. So how much does rental truck insurance cost? The added expense can range from about $15 to $30 a day, but will ultimately vary depending on the company you choose and the extent of your protection. Most companies offer different bundles of coverage depending on your needs. Deductibles will apply. Exclusions apply. Your protection is not under any circumstances--all insurance agreements have exclusions. Collision with overhead objects and blown or damaged tires are often not covered--also the most common types of damage reported by truck rental companies. Other common exclusions include auto theft due to negligence, theft of personal goods, or damage due to improper operation of the vehicle. Is anything included free? The minimum state law-required liability insurance will be included in your rental agreement. This coverage is very low, and you will be held responsible for all additional costs for repair and company profit loss while the truck is out of service. 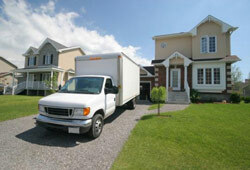 What Are the Different Types of Moving Insurance?